The Catholic St. Thomas Aquinas Church is planning a 164,000 sq. ft. faith-based residence Hall for Perdue University students that could break ground next spring. Although the six-floor, 330-bed project is still in its planning phase, the church has a running list of the amenities and services planned in the residence, the West Lafayette Journal & Courier reports. 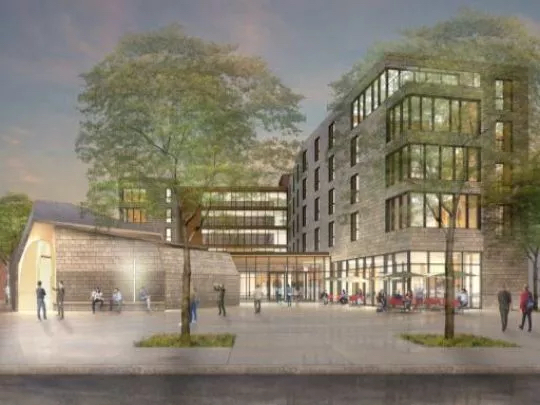 The church is working with Indianapolis-based developer Browning Investments, the same group that’s partnering with the Purdue Research Foundation on a $1.2 billion development of the campus’ west end. A subterranean parking level with 102 parking spaces.